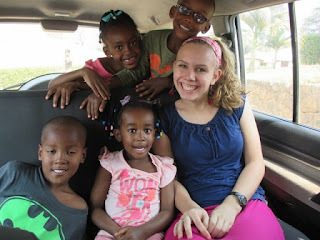 We are looking for a woman to come to Cameroon to homeschool our children for the 2019-2020 school year. They would all be in 4th grade during this year. Please help spread the word because we would like to speak with anyone interested before we head back to Cameroon on August 20th. We will be in Louisville July 13th - August 11th, and then in Colorado Springs August 11th-20th. We would love to sit down with anyone interested to talk about the possibility. 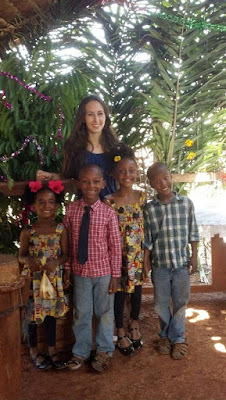 Coming to Cameroon to be a homeschool teacher is beneficial both to Dave and I as Bible translators and it would also be beneficial to you as the homeschool teacher. It is beneficial to us because we will be starting full time Bible translation (= lots of work) in August of 2019 and really need to spend our time pulling our hair out over translation issues. Our work is very intensive and very technical and it requires hours of silent concentration. We have found that juggling multiple languages and Bible exegesis, along with 4th grade math makes it so that we do not go a good job in either role. We really need someone who can devote their time to being our kids' full-time educator. Also, it would be beneficial to you because you would get to see the missionary life up close. You would live in our guest house, eat your meals with our family, pray with us for the Bakoum people, and hear all that we are learning about the language and the culture. You would be living in a village in Africa and you would see a part of the world that would be completely foreign to anything you have experienced living in the States. For you, this wouldn't only be a year of travel, but it would likely be a year of long days, possible sickness, and loneliness. If you come, you will understand, in many ways, what life on the field as a missionary is like. It won't be a picnic, but it will be rewarding. We life in a small town in Eastern Cameroon which is next to a tropical rain forest. The people speak a local language called Bakoum although French is used as a trade language. 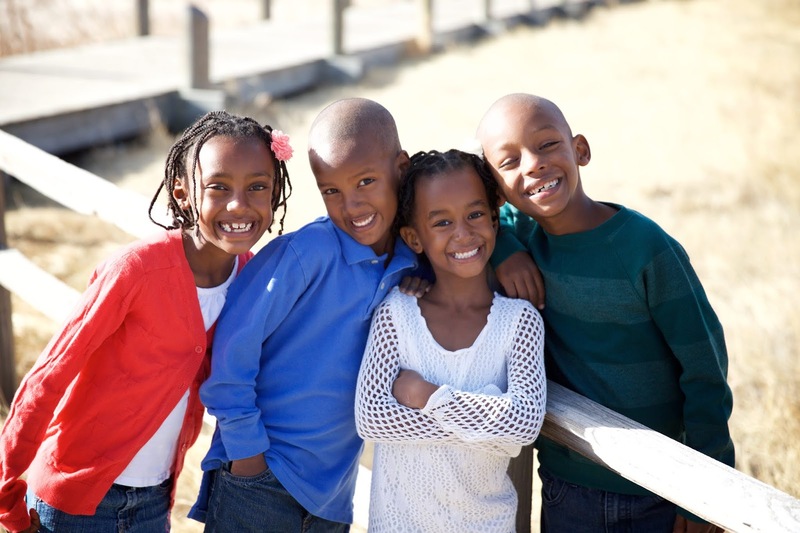 We have four children, all adopted from Ethiopia: Kaden (9), Makyra (9), Elias (8) and Zoey (8). Although they are a year apart, we are currently keeping them all in the same grade (starting in August 2019 they will be entering 4th grade). They come with lots and lots and lots of energy and zeal for everything, including learning. We are looking someone assertive and firm who will be able to control the classroom and channel their energy well (this is no small task). This year we will be joining FES (Field Education System of SIL in Cameroon). You will be working with this program in order to receive curriculum and we will also be attending their joint learning sessions where they kids will have an in-classroom experience. You will need to do lesson planning, but there is curriculum to help you navigate through teaching the kids. We live in a good-sized house outside of town which includes a school room where the children are homeschooled. We also have a separate “guest house” in our back yard, complete with a bathroom, which serves as the lodging for our home-school teacher. Meals will be eaten with our family. We most often have electricity and (hot or cold) water. Homeschool the kids, including working one-on-one with them outside of class in areas where they struggle. Prepare daily individual lesson plans from the suggested lesson plans available. This can be work intensive. Be responsible for checking out all curriculum materials, taking care of them and checking them in at the appropriate time. Be willing to watch the Hare kids when Dave and Stacey both need to attend language / Bible translation committee meetings (this happens rarely). A teachable spirit. We are looking for someone to come as a learner of the culture, our family, ministry, and so on. A strong recommendation from your local church. A love for and experience working with kids of this age. You do NOT have to have any experience as a teacher (although that would be a welcomed bonus) but we ask that you come with a willingness to learn and to work hard to ensure they receive a good education. Must come willing to love and pray for our children. Must apply through our mission agency, World Team, and be willing to raise funds to support yourself for your 9-month stay. You would be responsible to raise approximately $300 USD/month plus one-time costs (airfare, immunizations, visa and passport fees, a trip to World Team’s Support Center for an interview / introduction to the agency ($100), etc). Personal expenses (buying gifts, souvenirs, etc) are not included in this figure. Please contact me at stacey.hare@worldteam.org so we can begin initial conversation, answer any questions you may have, and give you an idea of what it is like to live with our family. We would like to start having these conversations before we leave to go back to Cameroon on August 20th. If you seem to be a good fit for our family and if we seem to be a good fit for you, you would then begin the application process with our mission agency, World Team. If you would like to talk to one of our kids' former homeschool teachers, you can contact them at: bonnie.marcum2@gmail.com (Bonnie) or meganmauterer@gmail.com (Megan). World Team requires an initial application, phone dialog, and references. If everything is approved, you will be invited to come to the main office for their orientation / application week November 3-5. Please visit the website at us.worldteam.org/get-started to fill out the initial application. The initial application, with references, needs to be submitted by October 1. "I am so thankful to have had this opportunity with the Hares because I was able to participate in authentic, everyday life with missionaries on the field. I loved being a part of the real joys and struggles that missionary families experience and I believe it has helped me become more faithful in prayer, compassion, and endurance. One joy of being a homeschool teacher was simply to watch the kids learn and to see things anew from their perspective. The Hare kids get excited to discover new things! Teaching is definitely hard work and requires lots of patience and perseverance, but spending the time to get to know and understand the kids was totally worth it. I grew in my walk with the Lord, especially in prayer, as a result of the constant realization of how inadequate I was for the task set before me. But God was faithful! The Hare kids absolutely love learning! It was such a joy to hear them chatting after school was over about a history book we read or discussing the solar system or even reciting their addition facts. They are each unique in the way they express themselves and relate to others. They have their own strengths and weaknesses, which were both difficult and a pleasure for me to discover. Some days they would try my patience like nobody’s business, and others they would persevere with difficult math problems or spelling words and encourage each other towards obedience and joy. It was a year well spent as the Hare’s homeschool tutor!" 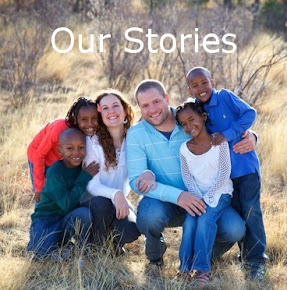 "I am extremely thankful God granted me the opportunity to teach for the Hare family. The children are sweet, energetic kids who absolutely love learning. Together, we had a wonderful time singing our way through the curriculum, writing creative stories, and discovering fascinating animals and plants in science. Of course, there were times in which the children had difficulty controlling their tongues and energetic bodies, but overall the experience teaching them was wonderful. I really treasured seeing the missionary life in Cameroon firsthand and the role these children played in their parents’ journey to translate the Bakoum Bible. I will definitely miss seeing their smiling faces each morning, hearing their infectious laughter, and watching their countenance light up as they understood new concepts. Teaching the Hare children was a real joy."